On Thursday, we visited Kinkakuji (The Golden Palace) in Kyoto. It was surrounded by a pond and the place was in the middle of it. What we saw was a replica because the original was burned down in 1950 by an angry monk. When we were there it was pouring down rain and we all had to huddle under umbrellas to stay somewhat dry. But it was still really pretty!! 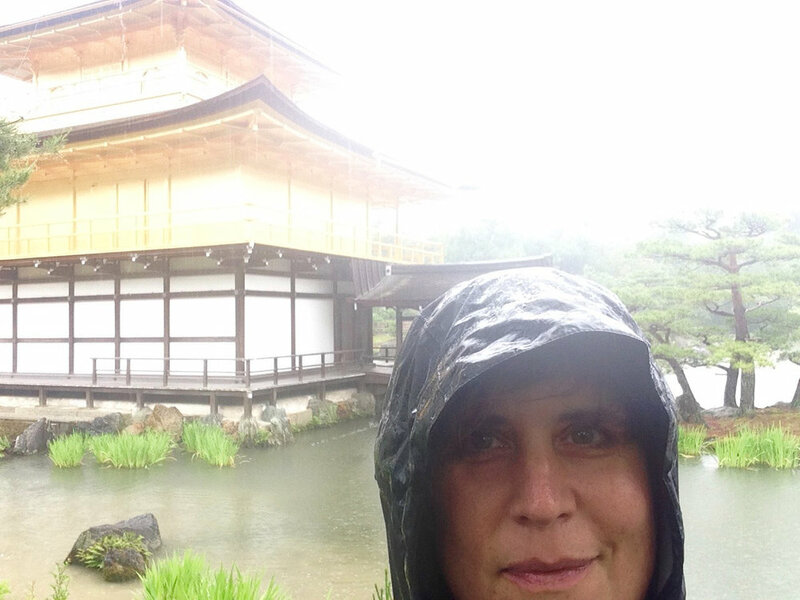 We all agreed that the rain only enhanced the beauty of the Golden Palace and its surrounding gardens!